Prove the ability of your robot to create a strategy in order to save the disaster victims. 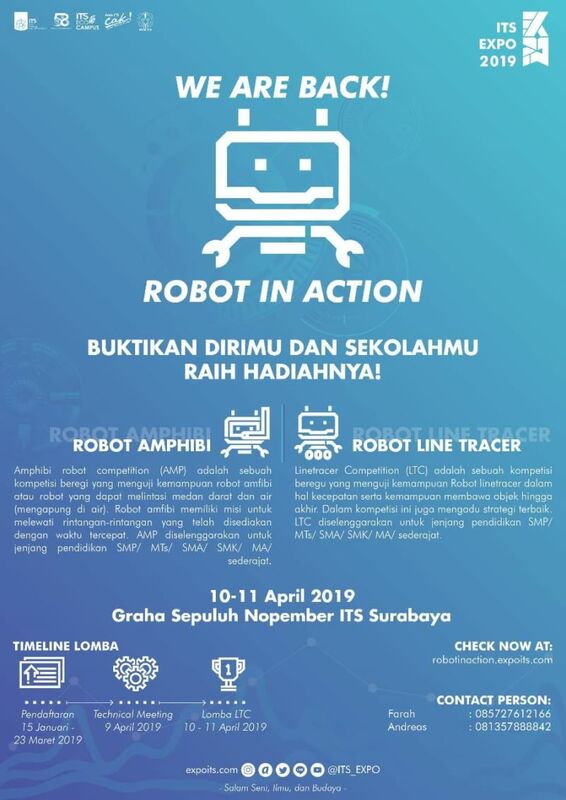 Show your creativity in the world of robotics in this prestigious event held by Sepuluh Nopember Institute of Technology (ITS) Robotics Team. Open to junior and senior high school students throughout Indonesia. 1 team consists of 3 people. Greetings Art, Science, and Culture!